Lined with golden beaches and framed by stunning limestone rocks, the Algarve holds a special place in the European continent. Portugal’s enviable climate is legendary, but the Algarve in particular enjoys fabulous weather all year round. Endless azure blue skies and sunlight that energises all those who are fortunate enough to inhabit the region make it an ideal choice for those seeking to relax and rejuvenate. It’s a region of hidden treasures – from sprawling world-class resorts to small local restaurants offering the sublime tastes of the sea. Among the former is Monte Rei, which is ranked as the number one golf course in Portugal by Leadingcourses.com. Set in a private estate that stretches across more than 1,000 acres of idyllic countryside, the resort boasts spectacular views of the Serra do Caldeirão mountain range and the Atlantic Ocean while also featuring the award-winning, world-famous Jack Nicklaus Signature Golf Course. It is also home to an exquisite collection of luxurious properties, from spacious and modern apartments to stunning villas inspired by Portuguese architecture, which are available for purchase. Further, for those who prefer to take the development route, there’s the opportunity to build spectacular properties on an average plot size of 1,400sq m with the support of Monte Rei’s highly trained in-house architects and project managers. The golf course, along with its world-class, on-site resort management team, provides owners and guests with a first-class experience during every visit. 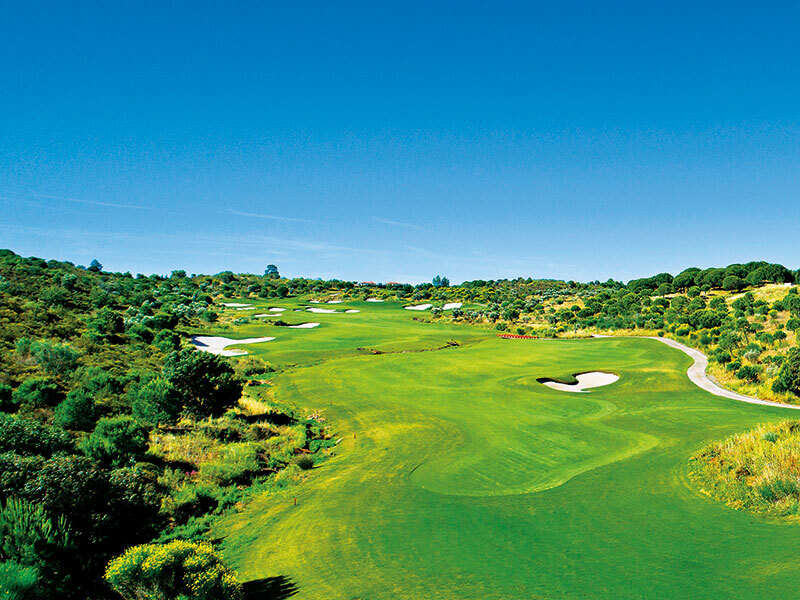 Monte Rei is also now at a key point in its development: there are a number of projects in the pipeline that will transform it into more than just the home of one of Portugal’s best golf courses. 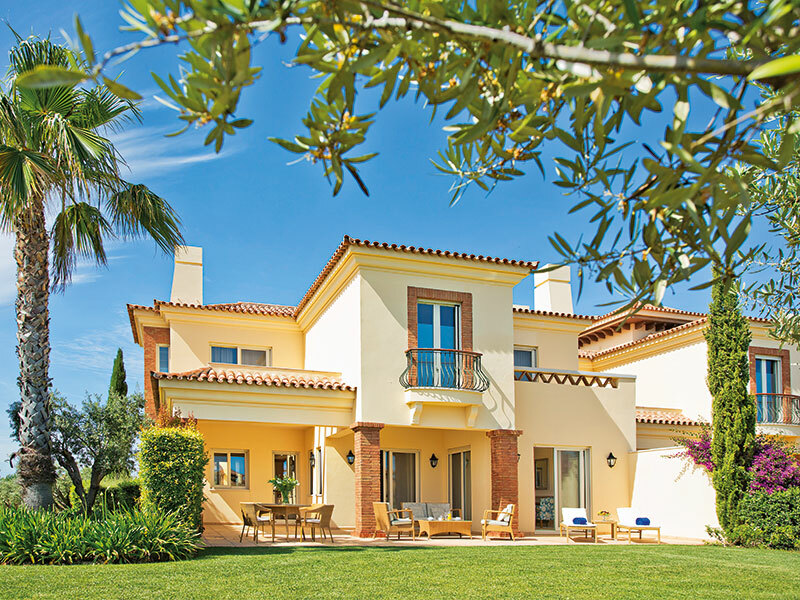 Brennon Nicholas, Commercial Director of Real Estate at Monte Rei, spoke to European CEO about how buying a property there now offers the potential for significant capital appreciation over the long term. How do high-calibre golf courses and amenities add value to real estate? Buyers will always look at on-site amenities when buying. Obviously for personal use, owners will want to know if there are activities to keep them occupied when in residence. From an investment perspective, however, golf courses and other amenities increase the value of an investment. The higher the quality of the on-site amenities, the greater the likelihood of being able to rent your property – and at a higher price, too. You could, of course, buy a property with the same amenities but of much lower quality, and you will earn a correspondingly lower rental return as a result. The potential for capital appreciation is affected by the very same considerations. Why do non-golfer buyers consider golf resorts for investment? It is widely recognised that a large number of people who own properties within golf resorts do not in fact play golf. The reason that non-golfers are attracted to golf resorts is that these resorts tend to offer a set-up that transcends the golf course, which itself is really only one aspect of the lifestyle. Golf resorts will tend to offer a range of on-site services and amenities, such as on-site property management and rental management, which include services such as housekeeping, gardening and repairs. On-site security is also a key feature that people will look for. As such, on-site services are a key selling point for people who will only use their property for a few weeks every year. How does real estate within a golf resort compare to other types of property investment? Resort developments are slightly less exposed to the kinds of trends you find in the market for first homes. With the increased focus on urban locations for primary homes, the importance of resorts – whether golf-focused or otherwise – will be maintained, if not increased, as they are a welcome break from the pressures and pace of city living. What should investors who are looking to invest in golf courses keep in mind? Golf courses that are attached to hotels or resorts can sometimes be treated simply as a marketing tool to draw clients in to book accommodation. They can be poorly managed, and without a firm eye on the bottom line, many are run as money-losing operations. Those looking to invest in a golf course – or in a property located within a golf resort – should ask themselves what their expectations are from the investment. If you are concerned about investing in a business that has a potentially long lifespan and may be able to increase its value beyond that of the rest of the market, then you need to inspect the operation yourself. When doing this, there are certain things to look out for. First, assess if the course is in bad condition. Next, establish whether the management simply packs as many players through as possible with no consideration for playing experience: this helps to establish whether the focus is on providing a high-quality golfing experience or not. Depending on their objectives, this may or may not be a concern for investors. What does Monte Rei offer with regards to lifestyle activities? In terms of golf – aside from the course itself – we have a fantastic driving range and short game practice facilities. There is also a great team of pros who offer private lessons and family lessons, as well as group clinics. We have a heated swimming pool, a gym, tennis courts and a wellness facility for the exclusive use of residents and guests. There are several on-site restaurants, now overseen by our new executive chef Rui Silvestre. At his previous restaurant, Silvestre became the youngest chef in Portugal to earn a Michelin star: his cooking is truly exceptional. Silvestre knows the Algarve very well and ensures that all the ingredients are of the highest quality. Further, he always sources ingredients himself from the best local suppliers. Finally, our on-site concierge team is always available to arrange activities. These include trips to local beaches, historic towns, wineries, boat trips, horse riding, bike tours, and just about anything else you can think of. Do you have any exciting plans in the pipeline that you’d like to share? Work on a second Jack Nicklaus Signature Golf Course will begin in 2019. A significant investment will also be made into superb new infrastructure and resort services, including: an all-suite boutique hotel and spa; a beach club with pool; dining areas; and a bar situated on a stunning plot overlooking the ocean. It’s an exciting time for Monte Rei – one that should shift the resort’s status from one of Portugal’s finest to one of the world’s greatest.